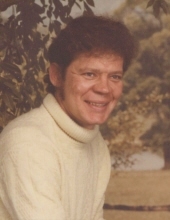 Joseph J. Kelly, age 74, passed away peacefully at his home on March 24, 2019. He was the cherished father of Chalona Beach and Christina Bolden (Henry), loving grandfather of Cody, Amber (Chris), Abigail, Xander, Kalib, and Justice, proud great grandfather of Lliam, Aeden, Oliver and Hunter, dear brother of Patricia Hetzel, Michael Kelly, Dennis Kelly and Hugh Ruch. He will also be missed by his former wife and friend, Vicki Engelbrink and many friends. Joe enjoyed sitting around a card table, playing cards and enjoying refreshments. He proudly and honorably served his country serving in the Army from 1962 until 1965, and will always be remembered by his family as a loving and supportive father. Burial arrangements are being made and will be announced. "Email Address" would like to share the life celebration of Joseph John Kelly. Click on the "link" to go to share a favorite memory or leave a condolence message for the family.